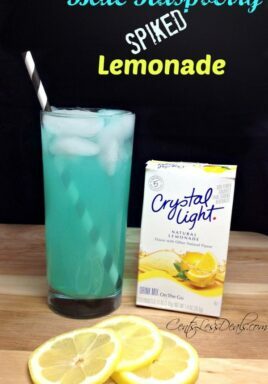 This Spiked Blue Raspberry Lemonade recipe is super easy and soo yummy!! 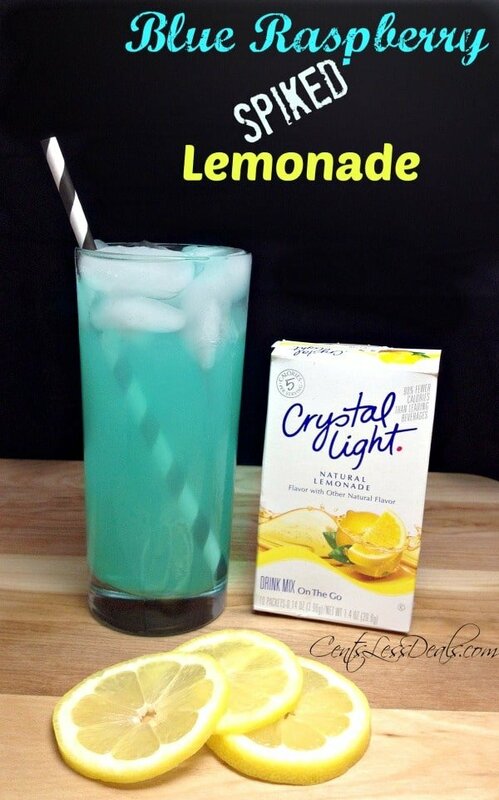 Mix Crystal Light packet into bottle of water. Pour into a glass of ice. Add 2 (or 3, I don't judge) shots of UV Blue Raspberry vodka to the drink.